something more than grace of design and the average measure - of usefulness to command the attention of the student. The exhaustive knowledge of geometry and perspective possessed by this craftsman—and it is in the light of a craftsman that we must now regard him for a moment—his love of mechanics, and never-failing regard for utility, led him to conceive, and work out, problems in cabinet construction such as had never before been attempted, or even dreamed of, by any other member of his craft. 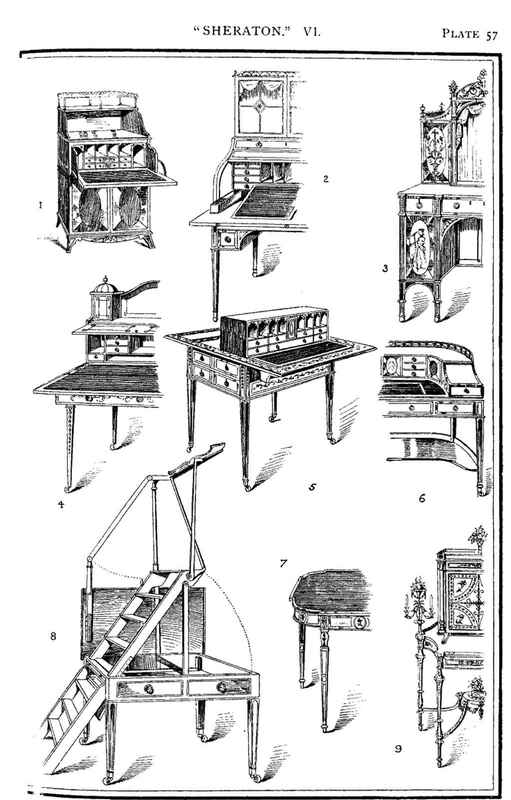 The solution of these problems resulted in the origination, and production, of household gods in which all manner of unexpected developments were most ingeniously provided, and which, in most cases, were of real practical utility, and exceptionally clever in conception and execution. A better instance, perhaps, could not be cited to illustrate the lengths to which he was prepared to go in this direction than the one depicted in Fig. 8, Plate VI. Here we have a table apparently innocent of all complications, but which, by the raising of the hinged top and adjustment of the interior, can be almost instantaneously converted into something totally and altogether different—viz., library steps with hand-rail and book-rest complete—the least relationship between which and a table could hardly be imagined to exist. 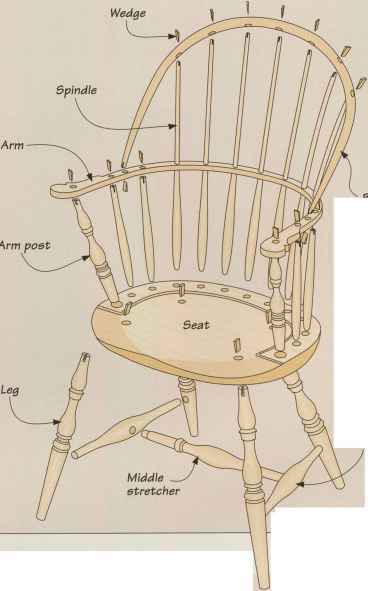 The step-chair is familiar enough to us, but this step-table, though designed and made over a century ago, will, I imagine, be a novelty to most of my readers.